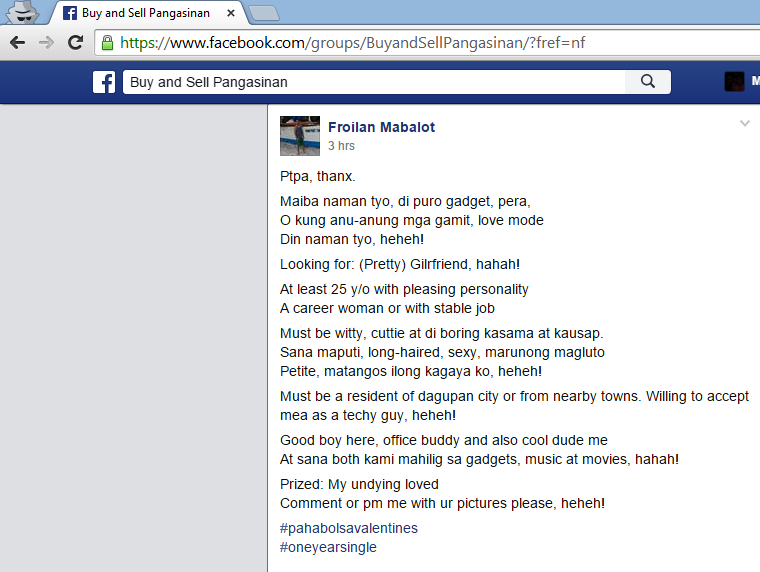 The closed group Buy and Sell Pangasinan's showed the qualifications he is looking for in a girlfriend as per screenshot above. Within minutes, members had liked and commented on his post. 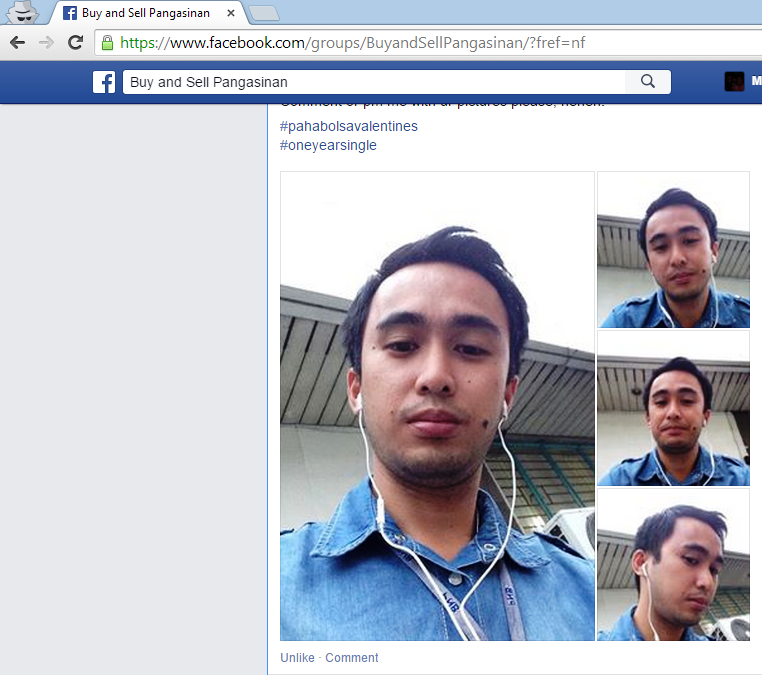 Although I no longer see the ad in the page as of this writing, I was able to save images including the second part which shows the guy named Froilan Mabalot's picture.